Looking for new ways to inspire creativity for yourself or your team? Afraid to leave your comfort zone and try something new? 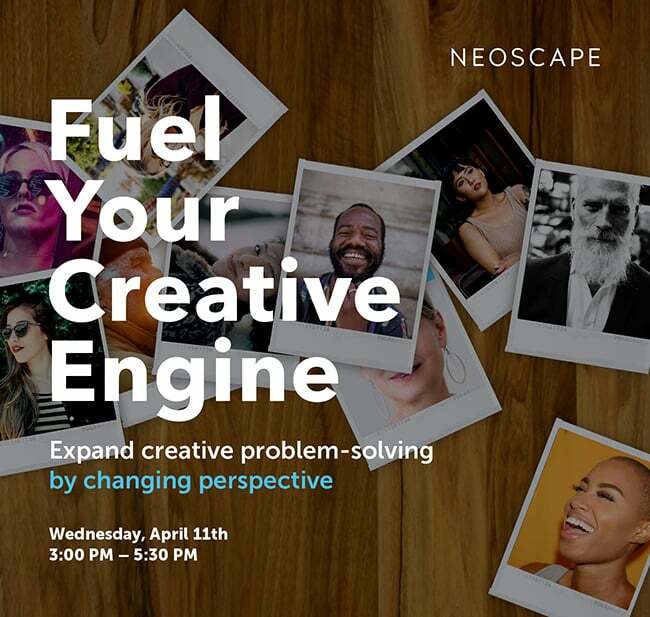 Join us on April 11th during Boston Design Week for a free hands-on workshop that will help you let go of preconceived notions by looking at an everyday situation through another’s eyes. In an open atmosphere that invites curiosity, we will explore how personal aesthetics and experiences predispose us to certain solutions–and what we can do to move beyond them. The goal of this session is to expand the creative problem-solving process by changing perspective. Change is hard. We can help! The event includes a 90-minute workshop followed by a wine and cheese reception. Learn more and RSVP.